This practice works best when the leaf is steeped in a small vessel, but it also works reasonably well in a large teapot. 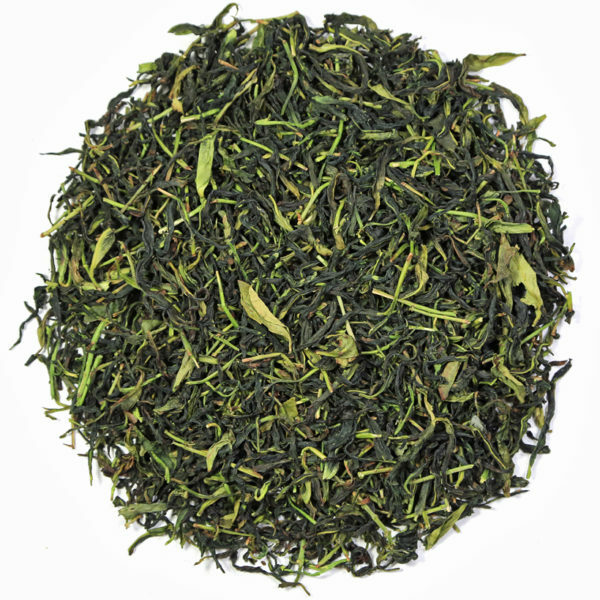 Tea Trekker is now offering the 2018 harvest of this delicious and unusual dan cong, so this is the third harvest year that we have had the good fortune to be able to source and offer this unique tea to our dan cong enthusiasts. The following description is what Mary Lou wrote about it when we first tasted it in early summer of 2016. Everything she wrote then still applies to this latest harvest year! We were intrigued to taste this tea when the sample arrived. A green-style dan cong oolong? Should it really be called dan cong when the processing and taste is so different than the traditional assumptions about dan cong oolong? I think the answer is YES, as long as the leaf is truly dan cong leaf plucked from dan cong tea trees and or tea bushes and the explanation / description of the tea is clear and truthful. One taste was all it took to convince us that this tea was something quite extraordinary and unique. We ordered a quantity of it so that the majority of our tea enthusiast customers can experience this delicious and refreshing tea. Chou Shi is a great example of how manufacturing techniques ( ie. the type of processing steps that the fresh leaf undergoes in the tea factory) tweaked and employed by skillful tea makers can result in the same leaf turning out different types of tea with singular leaf styles and color, and unique flavors. This new adventuring into manufacturing other styles of tea is a relatively new phenomenon in Chinese tea making since we first started to go to China to purchase tea in the year 2000. Back then, it seemed that tradition trumped all, and the teas that had always been made in a certain place in a certain way were what was continuing to be made in each specific location. Nowadays, skillful tea workers want to strut their stuff and work the fresh leaf into new tastes and aromas, whether or not they are traditional to a certain place. 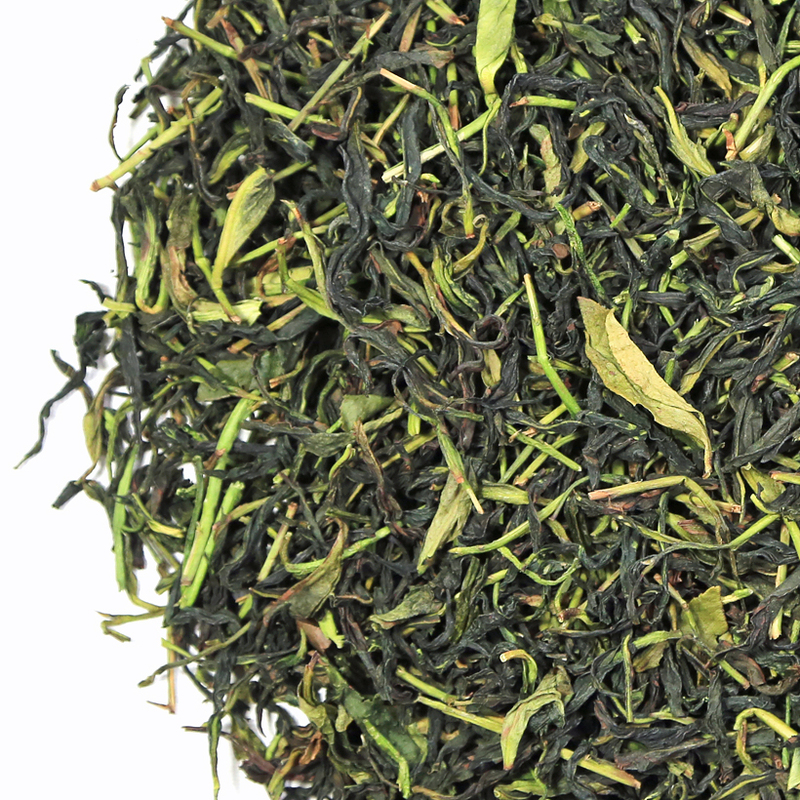 In the case of Fenghuang dan cong Chou Shi, the tea is reminiscent of the flavor and aroma of semiball-rolled style green oolong from Anxi and Taiwan, but the underlying flavor, the size of the leaf, and the richness of the tea liquor in the cup, as well as the overall style is still identifiable as dan cong. This is an exciting and extremely flavorful tea that we are thrilled to have. It is delicious hot or iced – in fact, when drunk as cold tea the taste is extraordinary and most refreshing. We think that it will become a Tea Trekker customer favorite!